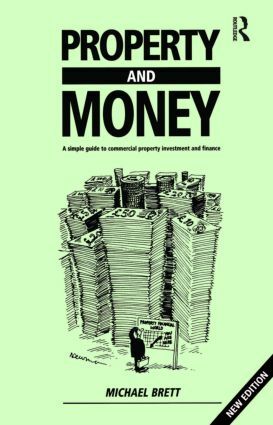 Property and Money is a simple guide to the investment and financial aspects of commercial property. Putting property into its financial context, it seeks to bridge the world of the surveyor and property developer and the investment and financial markets of the City of London. - The crash of the early 1990's and its consequences. Based on a widely acclaimed series of articles that appeared in Estates Gazette magazine, Property and Money is complemented by an extensive index and glossary and enlivened by Nick Newman's cartoonist-eye view of the property world. Michael Brett is a freelance financial journalist, part-time lecturer on financial topics and author of the business bestseller How to Read the Financial Pages.